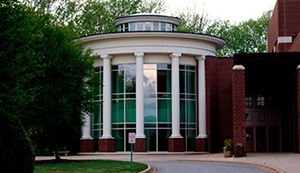 The Brevard Music Center, in partnership with Brevard College, presents free concerts to the public on the first Monday of each month. February 4: DEBUSSY Sonata for Flute, Viola, and Harp & DUBOIS Terzettino. Featuring Dilshad Posnock, flute; Jennifer Snyder Kozoroz, viola; Kela Walton, harp. March 4: RAVEL Tzigane, JANÁČEK Sonata for Violin and Piano & BEETHOVEN Violin Sonata No. 9. Featuring Benjamin Sung, violin; David Kalhous, piano. April 1: BEETHOVEN Violin Sonata No. 10 & STRAUSS Sonata for Violin and Piano. Featuring Jason Posnock, violin; Michael Chertock, piano. May 6: Program TBD. Featuring Juliet White-Smith, viola; Rick Ferguson, piano.